If you are a member of the fashion industry or simply love fashion, we strongly suggest you try the ClothingB2B.com website. The Clothing B2B website is a wonderful fashion industry search engine. 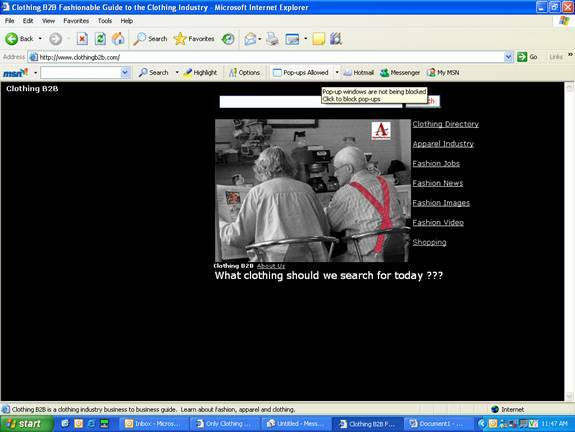 Clothing B2B is a clothing industry search engine ... What more do you want to know?